Years ago, my husband and I would drift each night into the modestly decorated nursery of our soon-to-arrive son. I’d sit in our craiglisted glider with a hand on my round belly, he’d take the floor near the crib, and we’d dream together about what the upcoming years would look like. We imagined sleepless nights and slobbery kisses, overflowing library bags and a table covered in arts and crafts, exploring the West coast with our kids in tow or even living abroad for a while. 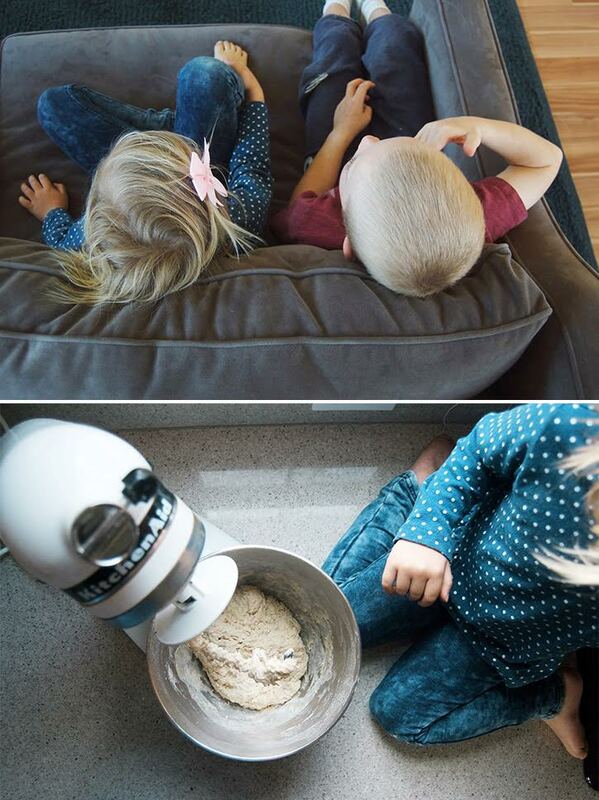 Then parenting hit… and we put down some roots… financial responsibilities grew… and although we still have big dreams for our family, we learned that every now and then, the easiest route is the best route. It’s an amazing way to reconnect as a couple and family without taking vacation days or stressing over travel preparations or spending money on flights and hotels. Make it official.Block it out in your calendar, give it a festive name, oh hey—tell your kids what a staycation is! When you’re at home, it’s easy to get distracted by errands and projects, so commit to jumping with two feet into your staycation. Line up a couple of fun adventures, remembering that less is more. Choose a fun outing or two, like a trip to a museum, an ice skating rink, a nearby national park, a lake, or beach. (For more, check out these 25 staycation ideas.) But be mindful of not overcrowding your schedule and losing the relaxing pace of staycation. Stock the fridge with delicious food! At our house, a well-stocked fridge is key to success anyday, much less on staycation. I find that—especially on staycation—choosing easy snacks like string cheese and clementines takes some of the pressure off me as the mom, because my kids can always just grab something from the fridge when they’re hungry. 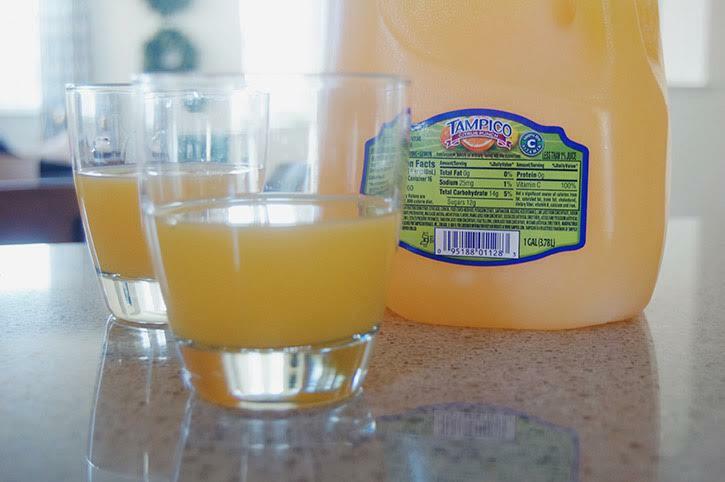 And don’t forget to throw in a few treats, like one of Tampico’s juice flavors! A big thanks to Tampico for sponsoring this post! 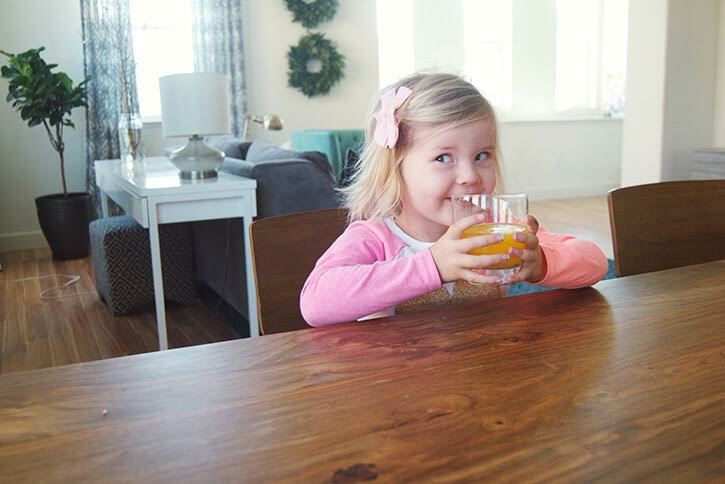 My kids are always MORE than happy when they spy Tampico in the fridge. Plan a couple of family-favorite meals, and plan to order in (or go out) for some others.The last thing you want on a staycation is your family complaining about dinner. (You can save that for your average weekday!) So plan some simple meals that are always a win, and, as the budget allows, let a restaurant do the heavy lifting for the other meals. Make home feel special with a few extra touches. My formula for a home I wantto be in is this: general tidiness, flowers, and candles. A little prep work right before your staycation will go a long way. Come up with some unique activities that don’t take you farther than your living room. We recently bought a dozen single bottles of root beer from a beverage store and conducted a thorough taste test with our extended family. Everyone loved it! We’ve also made root beer from scratch using dry ice—another huge win. We’ve also had fun drilling into coconuts (our boys looove power tools) and making piña coladas. This is a great way to add a tropical flare to your vacation. And don’t forget a splash of Tampico! 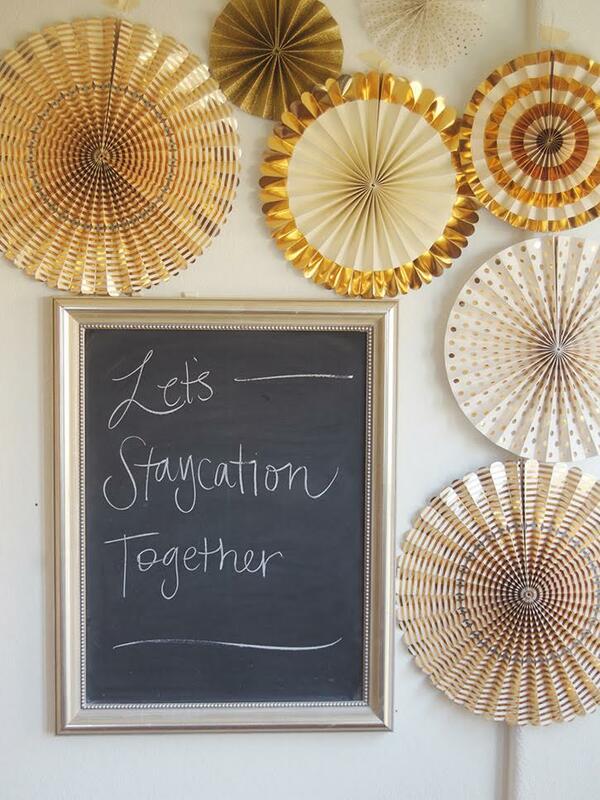 No matter your reasons for staycationing this year—whether it’s to save money or to reconnect in a low-pressure environment—I hope these tips help you have the most awesome staycation you can dream up!